These coquina ashlars were joined with tabby mortar. 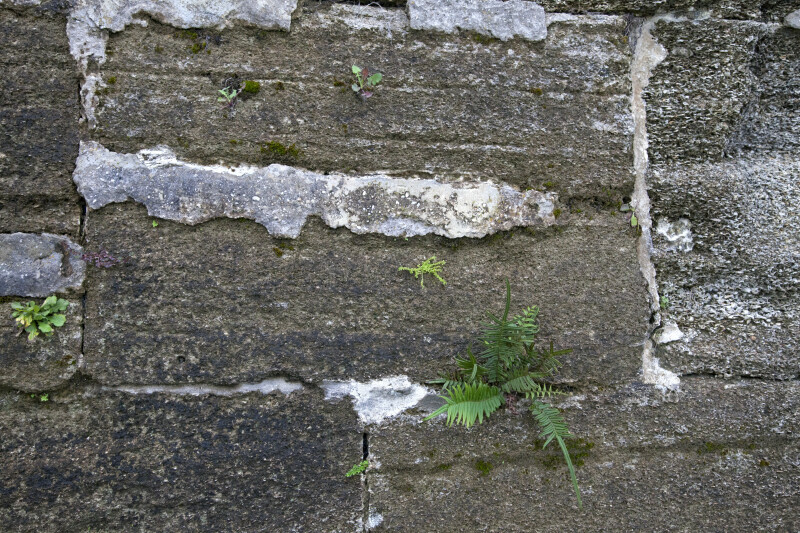 There are plants growing in joints where the mortar has crumbled away. The fort is a National Monument, and is listed on the National Register of Historic Places.